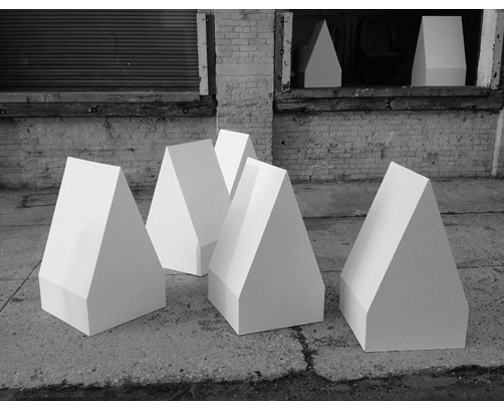 this modular sculpture was based on acoustic forms in sound recording studios and anechoic chambers. drawing attention to the interior domain of these silent spaces, this work was made using the same materials used in the interior architecture of home environments. commissioned for the outdoor sculpture exhibition Rock Street, curated by Deborah Brown.